Steve Warga, Tri- City Voice – Outside, Fremont’s Unitek College hardly differs in appearance from the furniture store next door. Step through the glass doors, though, into a foyer designed and built, personally, by CEO Paul Afshar and visitors will experience a buzz of energy and activity. The uniquely attractive mosaic floor and glossy white dome overhead suggest that Unitek College is not an average vocational technical college. The effect suggests a classy business-on-the-run with many tasks waiting in the few hours of a day. Beyond the eye-catching entryway, multiple halls branch to the left and right, connecting a warren of individual classrooms and lab facilities. Behind those doors, hundreds of students pursue studies in multiple branches of medical practices, especially that of Licensed Vocational Nursing (LVN). But that’s not all. 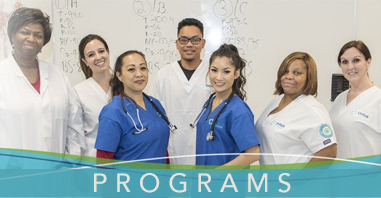 Starting April 2, Unitek College will commence its first-ever “bridge training” of experienced LVNs to Associate Degree Registered Nurses (RN). The need is great and Unitek College aims to meet as much of it as possible. They have invested heavily in the latest equipment and training aids, built leading-edge classrooms filled with dozens of computerized work stations for student access and participation and most importantly, recruited experienced, dedicated instructors from places far and wide. In just two years, LVN student enrollment has grown from less than 40 to over 200…and the count is rising. The Fremont campus is now joined with locations in San Jose, San Francisco and Sacramento, with more branches under consideration. At every location, multitudes of nursing students, clad in bright blue “surgical scrubs” uniforms, fill the work stations and surround practice mannequins. Intelligent, earnest and eager to learn, Unitek College’s highly motivated students are gaining a reputation for superior technical and analytical nursing skills. They paid Cohen’s expenses for an interview and offered him the job. The man who claims, “I “never, never dreamed I’d live in California,” packed his things and headed west, just like the gold-seekers in 1849. The New Yorker teams with two other instructors, Eugenia Hatch and Daisy Rodriguez. Together, they take one group of students at a time through Unitek College’s state board approved curriculum divided into three levels of about three months. Each level features 40 hours per week of classroom work and hands-on laboratory exercises. In addition, many hours of clinical experience provide real-world patient assessment and care. Students must pass rigorous testing at each level before proceeding to the next. It’s intense and demanding, but the rewards are many for those who finish training and earn their license. “We have a complete career-counseling program,” says Marketing Manager Lisa Long. “Our employment rate for LVNs is just about 98 percent.” Given that not every student wants a job right after graduating, Unitek College’s employment rate is as close to perfect as possible. Employers want Unitek College grads – period! Cohen demonstrated his belief in his students one day last week during an injection practice session. Without hesitation, he rolled up his sleeve while he and Hatch patiently coached student, Simrit Gillon through a subcutaneous injection … the teacher’s! Gillon expertly completed the shot leaving everyone smiling. Fernandez and Cohen are examples of the increasing ratio of male-to-female nurses. Cohen says there is a growing demand for male nurses. Just as many female patients are more comfortable with female nurses, male patients respond in a similar fashion to male nurses. Unitek College strongly encourages men to consider nursing as a profession. Another key Unitek College player recruited from back east is Administrative Director, Nursing Services Margarita Valdes. Like Cohen, Valdes is a native New Yorker who made her way to Florida, and then Texas, before heeding the California call. “I had two years left before a fully-vested retirement with a Texas community college when the Afshars approached me,” she recalls. “I came out here and really liked what I found. My daughter, who lives in San Diego, told me to go for it and I did!” Valdes enthuses over the strong team spirit at Unitek College and points with pride to the willingness of everyone involved to put in whatever time is needed to help students succeed. In the heart of the greater Tri-City area, Valdes found a different sort of gold mine, as have many of her co-workers. In quietly competent fashion, Unitek College is producing a fortune of skilled and caring medical professionals to serve patient needs throughout the country. 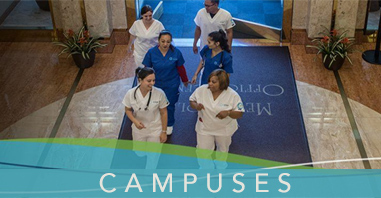 For more information on Unitek College’s LVN and RN programs, call 888-735-4355 or visit www.unitekcollege.edu. Classes are filling rapidly.